I haven’t been a regular viewer of NBC‘s The Voice in the past, but this year I settled in and watched the singers vie for spots on a team with Cee-Lo Green, Blake Shelton, Christina Aguilera or Adam Levine. And if you haven’t tuned in yet, I encourage you to do so. Tonight would be a good time. They begin the “battle rounds” with this evening’s show, where each judge starts to whittle down their team to the best of the best. And, tonight you will be treated to an incredible performance by the the extraordinary talent that Amanda Brown. I have long been a fan of the Harlem-based singer’s voice, but now everyone else gets a chance to hear the lady who’s backed up names such as Adele, Justin Timberlake, Lenny Kravitz, Gwen Stefani, Jennifer Hudson, Alicia Keys and even her Voice coach, Cee-Lo, himself. I just saw the battle round this morning and …. dammit, dammit, dammit, that girl can sing! But to be honest so can the guy she’s up against. I was living. If you have functioning ears, you would be remiss to not tune in tonight. I’m serious. And, if you’re in Harlem, come by Billie’s Black, where Amanda will be the guest bartender. They are regularly closed on Mondays but are opening up to allow one of their own a chance to soak up the accolades. Be sure to tune in and after the show, download the studio version of her song on iTunes. To get her blind audition cover of Amy Winehouse’s “Valerie,” click here. Ms. Brown is about to become a regular fixture on the sofa, so ready yourself for more shout outs and links to purchase the songs after each performance. Show your support. 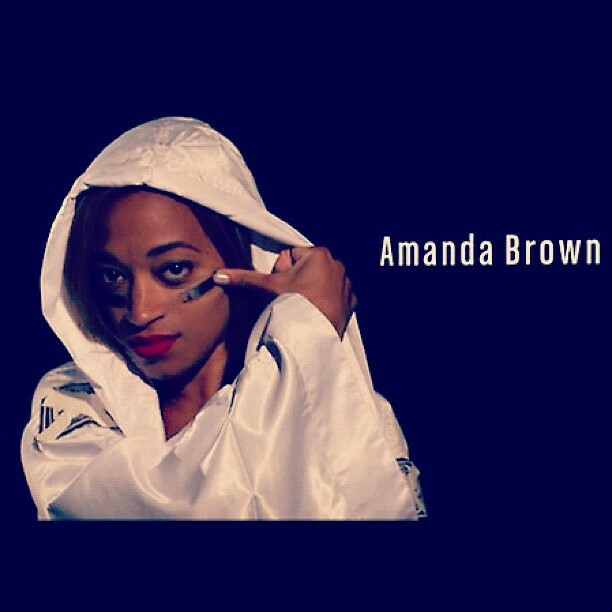 I was disappointed when Amanda Brown was eliminated tonight. For that , I won’t watch the show anymore. I mean Amanda Brown was good enough to go head to head with Cassidy Pope. I hope Amanda Brown will get a chance to produce her own CD. I would definitely buy it.